The only thing standing between you and the elements is the house that you live in. This can be quite scary if you really consider the implications. We all know that taking care of home improvement projects can seem like a never ending task. So, where to begin? Well, from the top down of course! Think of the roof like the head of a body, it is in charge of all the major functions you need to protect your property. It is the closest part of your house to the sky and therefore takes the harshest punishment from the weather. 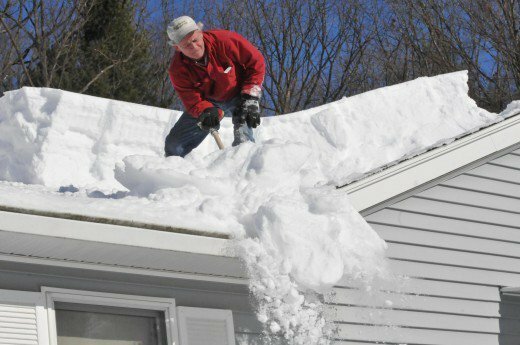 Heavy snow, ice, rain, and other wet weather all need to be kept outside of your house, but they take a heavy toll on that poor old roof over your head! Praying to the weather Gods will only get you so far! Practical advise to help preserve your roof. Now, keep in mind all this information is provided assuming you had a quality roof installed in the first place. Trust me when I say, more often then not this is simply not the case. 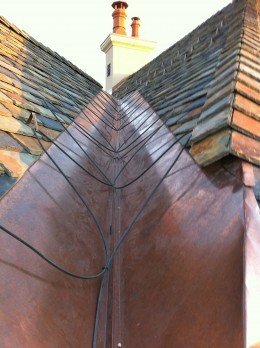 The majority of roofing contractors simply install the cheapest and easiest roofing system available, then run off with all the profit that they can. This is because they have no intention of staying in business long. They may not be licensed or insured, and simply change the companies name when the problems and complaints start to pile up. To make this short and to the point…the first thing you can to in order to properly maintain your roof is to hire a professional roofing contractor in the first place! Dangerous and not much fun but so, so important: Get rid of all that heavy snow ASAP! Properly installed, this can be a life saver! Heat Tape for heavy traffic problematic areas. A solution that should be utilized for any pesky or hard to reach areas that are a constant pain in the winter times. There are just some areas that you can’t get to in order to clean them off or that seem to collect a ton of ice regardless of what you do. Heat tape will help to melt the snow and ice in these areas, but make sure it is installed in such a manner that it will work with gravity. Some people have had great success running it throughout the gutter system as this is usually the first place to freeze up when it gets cold. The last thing you want to do is to install it somewhere in which it will just melt the ice and then the water just sits there with no where to go. It will find its way right into your house somehow or another. There are heat tapes available at your local hardware store for common problems, and there are commercial heat tapes that require a electrician to install. Analyze the situation and determine how severe of a problem you have before making a purchase. Proper air flow will do wonders. With enough ventilation, most of your problems should solve themselves. 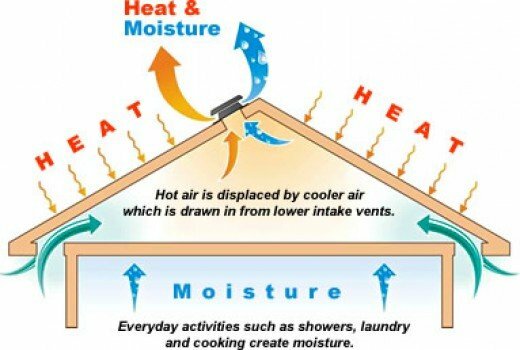 Most people do not understand how important ventilation is when it comes to roofing. You want the temperature in your attic to match that outside, and the only way to ensure this is with the proper installation of intake and output vents. 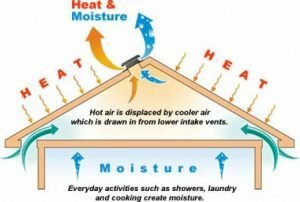 With the temperatures closely matched you minimize the condensation and thus likelihood of the roof wood rotting or growing mold. When a roof is well ventilated rarely will you see any major issues with ice damning except in low slope areas. A commonly overlooked mistake is when the bathroom or dryer vents are dumping right into the attic. These need to be properly vented using a roof jack so that they do not cause unwanted temperature fluctuations & excess moisture from getting in your attic. Animals love to find soft spots so they can make their new homes in your roof! If you suspect any rotten wood up there, it is best to replace it sooner then later. The smallest of leaks can cause moisture to rot away that wood quicker then you would ever believe. As cute as they may seem you really do not want to deal with any animals taking up residence in your residence. Animals such as squirrels and birds will literally spend an entire day searching for that one soft spot that they can continue to chew until a hole straight into the attic has been formed. Once inside, getting them out can be tougher then evicting dead beat tenants from a rental property. If you have any concern about questionable looking wood on or around your roof, call a professional out as soon as possible. Better to be safe then sorry. Wood replacement is not all that expensive, and will save you a fortune in the long run by preventing the need for some major repairs. No, we are lucky and should play the lotto!